Beaches in Bali are already very popular up to the international arena. Some of these beaches can also be used for surfing location. For travelers who love the things – things that challenge, on a vacation to the beach it's certainly less satisfied if not try extreme activities such as diving, banana boating, surfing, and other activities. Therefore, they prefer to go to the beach offering a variety of gear to do the water sports. It has a stunning panoramic view with a beautiful coral reef. Because of the beauty of this coast, gradually began to be talked about and free media promotion for tourists to come here. As a result, a growing number are tourists both local and foreigners like myself coming to this beach. Because the beach is not yet well known by tourists, it is precisely the profitability for its visitors. Because, with very few visitors make the atmosphere on the beach seemed so quiet and still feels very natural and free from interruption the hands – hands of the ignorant. Many say that the waves on the beach has a regional classic type. That is the height of the waves at the beach can reach 5 feet to 8 feet. High waves surely will be a challenge for lovers of water sports, particularly surf. Nevertheless remain necessary precautionary – extra vigilance and hatian bingin Beach, dotted by numerous coral reefs and includes shallow. Then, if it comes to no heart – the heart, it can harm the surfers in action here. Therefore, you should always take – heart. Surf or surf is one of the most activities undertaken by tourists visiting here, especially foreign tourists. In fact, here the visitors could not only do the surfing anyway. You can also snorkel or swim because the Foundation of this beach is quite shallow with a shallow beach, you won't have difficulty reaching a depth of. Apart from the exciting range of activities offered by this beach, you should remember well the storage location where the distance is far enough away from the beach. You should also be careful in putting vehicles – heart. If you feel pain or weight carrying surfboards himself from the car, you can ask for help to bring Your surfboard. 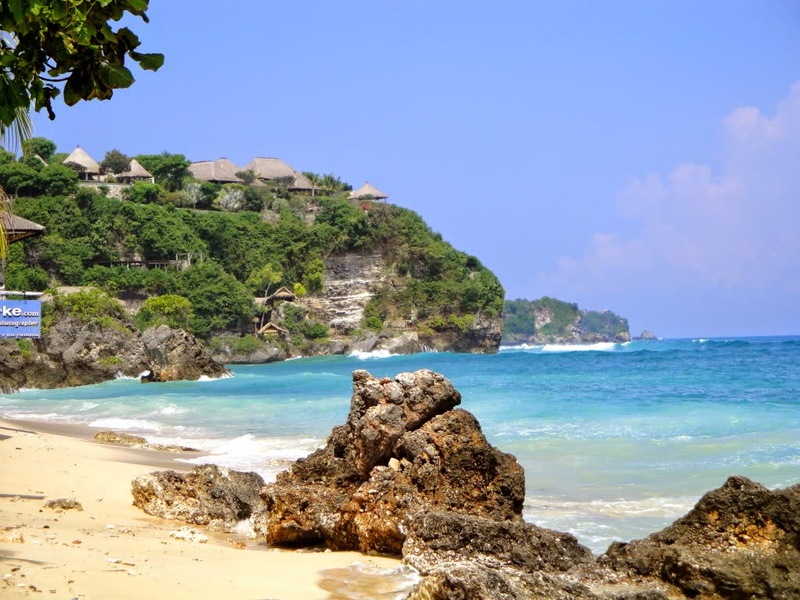 If you plan to vacation here, Bingin Beach is located in the village of Pecatu, Kuta Selatan, Badung, Bali, the distance it is from the city of Denpasar, about 32 km away and can be reached using a motor vehicle.